Global Road Technology is proud to announce the launch of their Road Maintenance Software Program – a first of its kind anywhere in the world. Developed over several years at the cost of several million dollars, the state of the art program is engineered to assist our clients to manage their global assets and save as much as 37% on their road construction and maintenance costs. What is the GRT Road Maintenance Software Program? In a nutshell, it is a real-time data management system that collects a customized data set tailored to the individual needs of a client. It can help identify logistical or spending inefficiencies, and provides an immense amount of data useful at the strategic decision making level regarding infrastructure creation, budgeting, and maintenance costs. Private companies, heavy industry, even governmental and military organizations are all benefiting from the immensely powerful analytics and data that this system provides. Best of all, the system is entirely cloud-based, and accessible from any browser capable device. This means that your field agents can directly connect in to the data infrastructure system using any Android or iOS hardware, and receive real-time information regarding field activities, asset deployment, and more. The system is completely secure, ensured by the same 256-bit externally verified secure web certificates you find in use at major banking sites the world over. For specific clients such as governments or military organizations who require additional security protocol, we are able to offer military-grade data inscription services to ensure maximum levels of program security. Here is a partial feature list of what is offered by the GRT Road Maintenance Software Program. Roads – The GRT RMS program saves organizations large amounts of capital by employing maintenance methodology statements, which are used to enforce maintenance schedules resulting in significant cost savings over time, as well as far fewer accidents and maintenance emergencies related to the road itself. Site compliance and certification is also logged and controlled. All of this information is presented in an integrated Graphical Information System which presents full feedback on scope within the spatial domain. Scheduling – The GRT RMS program also saves clients’ money by dramatically boosting their scheduling and deployment efficiency. 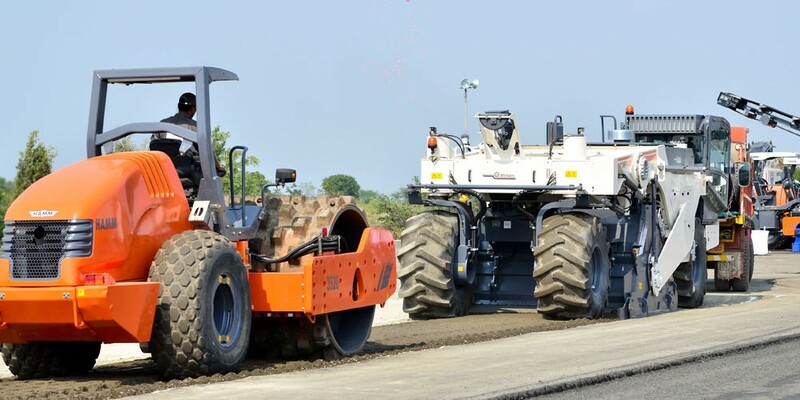 All schedules, maintenance requests, and everything else associated with the road are compiled and adjusted in real-time based on actual work progress, though the ability to perform manual intervention is of course preserved as well. Schedule presentation is available in graphical, calendar-based, or Gantt format. Resources – Works and resource allocation and management is made incredibly easy by the Global Road Technology Road Maintenance Software. The Program both schedules and directs maintenance crews, and ensures compliance with a variety of factors (such as traffic control regulations, particular issues of council approval, or site-specific requirements such as vehicle certification, accreditation, or environmental concerns) at the same time it logs resource use time, creates time-sheets for the employees shifts, notes completed work, quality issues, and a dozen other factors. Six Sigma Support – For companies which employ the Six Sigma approach to quality control, the GRT RMS program fully supports the methodology and can plug right in to and enhance your current QC efforts. The Program provides for logging, tracking, and management of quality issues related to any of your assets or infrastructure. Root causes of problems are identified based on concrete data points. Parameters such as moisture and temperature are closely measured and monitored on an ongoing basis. The system tracks all of this data and provides key quality indicators and tracking metrics to follow over time. As soon as any parameter moves outside the intended range, an automated quality response ticket is generated by the system, ensuring continuous improvement. The GRT RMS Six Sigma module quite literally dictates: “In God we trust, the rest must provide data”, and in this sense it most wholeheartedly delivers. Neural Network – The RMS system also contains a neural network module. This module is responsible for tracking and coordinating data from the other modules of the program, in order to identify areas which are lacking or could be improved. An example of this in action would be the standard road monitoring module of a project identifying a potential quality incident regarding a road early enough for it to be addressed through routine maintenance rather than causing an expensive or dangerous emergency condition. The end result is saving our customers money by identifying problems and areas for improvement early on in the process, enabling corrective action to be swift and comprehensive. Operations – All operational business activities can be directly linked in to the stock control and financial modules of the Road Maintenance Software Program. This results in having real-time accurate data related to invoicing, including full traceability and reconciliation functionality. Stock movements are also reflected in real-time through the use of satellite imagery. Combine these features with the visibility of forward schedules and the RMS Program enables clients to utilize predictive strategy and just-in-time principles. Portals – The Road Maintenance Software program provides several different types of portals and access points. Public, customer, and employee are all supported, enabling stakeholders to have access to relevant data on-demand.